"Solar Superstorms", fulldome giant screen film in production about the roots of violent solar storms that can wreak havoc on our planet. Collaboration with NASA, Spitz Creative Media, and National Center for Supercomputing Applications/ NCSA. Distribution by Spitz. "Extreme Speed", fulldome giant screen production in development, ascends the scales of speed to explore some of the most energetic phenomena in our universe. Collaboration with Mirage 3D and Spitz Creative Media. "Supervolcanoes", fulldome giant screen production about the largest and most destructive volcanoes in Earth's history. Collaboration with Mirage 3D and Spitz Creative Media. "Secrets of the Universe", 8x30, series distributed by TVF International. "Ultimate Aurora", 1x60, follows a band of rocketeers trying to reinvent space flight with a whole new type of rocket engine. "Cosmic Journeys", 18x30, series on leading-edge discoveries in astronomy and astrophysics. On HULU and Youtube, and in TV distribution by Janson Media. "Galapagos Realm of Giant Sharks", 1x60, expedition film about a steady stream of pregnant female whale sharks that pass by Darwin island in the Galapagos. In TV distribution by TVF International. "Journey to the Sea of Cortez", 1x60, retraces the famous voyage of John Steinbeck and Ed Ricketts to the Sea of Cortez in 1940. In TV distribution by Janson Media. "Dynamic Earth", fulldome giant screen production journeys into the workings of Earth's climate engine. Collaboration with NASA, Spitz Creative Media, National Center for Supercomputing Applications/ NCSA. Distribution by Spitz. “Monster Black Hole” National Geographic Channel and ZDF Enterprises. HDTV film exploring cosmic history from the point of view of a black hole. Premiered December 2008. “Exploring Time” Discovery Science Channel, Twin Cities Public TV, funding from National Science Foundation (NSF), two-hour HDTV production about Time. March 2007 premier. “Monster of the Milky Way” NOVA, with funding from NASA and National Science Foundation, one-hour HDTV production on black holes. Premiered October 2006. “Black Holes: The Other Side of Infinity” Denver Museum of Nature & Science, funding from NASA and NSF, 23-minute large-screen ultra high-resolution planetarium show. February 2006 release. Global distribution, including a current run at the National Air & Space Museum in Washington, DC. “Einstein’s Messengers” National Science Foundation, 30-minute HDTV program on the search for gravity waves. Non-theatrical program, released October 2005. “Hunt for the Supertwister” NOVA, one-hour HDTV program on revolutionary advances in tornado forecasting. Primetime broadcast in 2004, 2005, 2006. 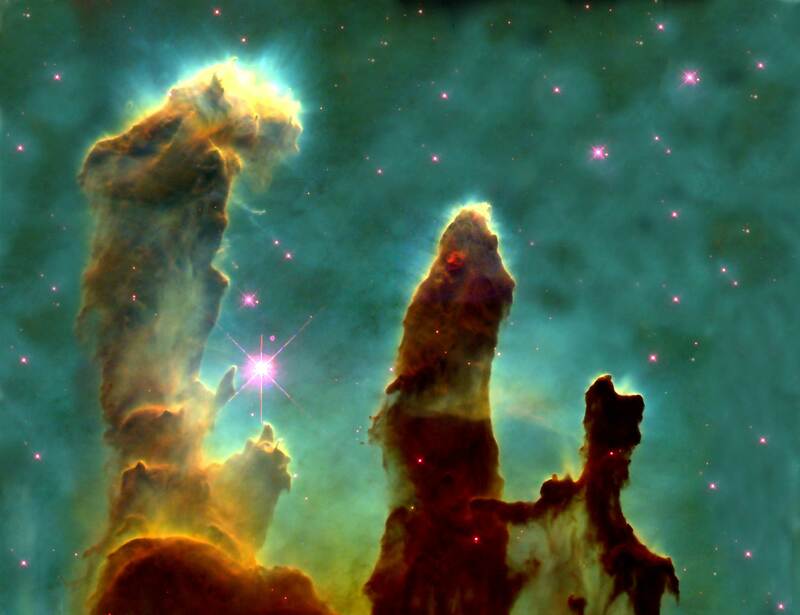 “Unfolding Universe” The Discovery Channel, one-hour program on the future of the Milky Way Galaxy. Premiered June 2002. “Cannibalism: The Last Taboo” The Discovery Channel, one-hour program on archeological evidence of cannibalism in the American Southwest. Premiered March 2002. “Beyond Human: The New Age of Cyborgs and Androids” PBS & Devillier Donegan Enterprises, two-hour series on the future of bioengineering and robotics. Premiered May 2001. “Runaway Universe” NOVA and National Science Foundation, one-hour HDTV production about the recent discovery that the universe is accelerating. Premiered November 2000. Finalist in the Science and HDTV categories at prestigious Banff TV Festival. U.S. Intl. Film and Video Festival (Gold Camera Award), Scinema Awards (Finalist); Image et Science Awards (Science Imagery Prize). “Voyage to the Milky Way” PBS & Devillier Donegan Ent., two-hour series on the future of space exploration (1999). “Hammerheads: Nomads of the Sea” The Discovery Channel and Beyond International. One-hour film on a biologist’s quest to study hammerhead sharks (1998). Discovery Channel “Shark Week” special in 1998 and 1999. Silver “Telly” Award, Videographer Award. “Mysteries of the Twilight Zone” The Discovery Channel and DocStar, one-hour film on scientific efforts to study creatures in the deep ocean (1998). Cine Golden Eagle Award, Silver Telly Award, Videographer Award. “Mysteries of Deep Space” PBS and Devillier Donegan Enterprises, three-hour series on recent breakthroughs in astronomy (1997). “Hurricane!” NOVA, one-hour film on nature’s most destructive phenomenon (1991). AAAS/Westinghouse Science Journalism Award for Television. “God, Darwin and the Dinosaurs” NOVA, one-hour film on the creation-evolution controversy in public education (1989). “Tornado!” NOVA, one-hour film on deadly twisters (1985). New York Film and Television Festival (First Place). “Great Lakes, Bitter Legacy” Turner Broadcasting, one-hour film on conservation in the Great Lakes, hosted by James Earl Jones (1992). “Wildfire” Turner Broadcasting and PBS, one-hour film on the great Yellowstone fires and the modern history of fire fighting, hosted by James Woods (1990). “On the Edge of Extinction: Panthers and Cheetahs” Turner Broadcasting and PBS, one-hour film on high-tech methods used to save endangered big cats (1987). Houston Intl. Film Festival (Gold Special Jury Award); International Wildlife Film Festival (Best of Festival Award). "Voyage to the Planets" BBC and Reader's Digest, two-hour version of the 8-hour BBC series "The Planets" for home video distribution (1999). “Animal Edens” National Geographic Channel and Interlingual Television, two 13-part wildlife series packaged from European wildlife film collections (1997-1998).